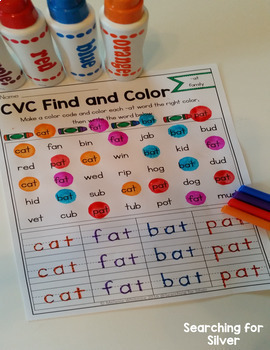 This CVC Find and Color is a fun and interactive way to practice reading and writing CVC word families! Practicing consonant-vowel-consonant words is an important pre-reading skill. 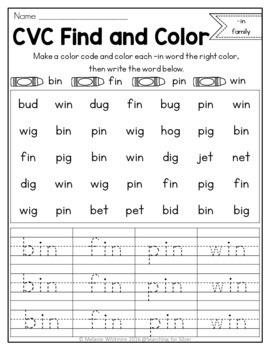 With this hands-on activity, children can have fun while building fluency and confidence with word families! 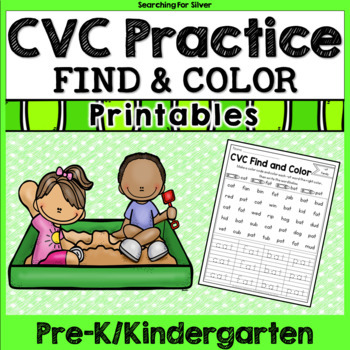 CVC Practice: I Gnome My Words!